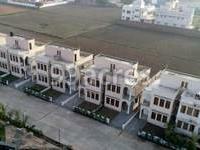 Sukriti Sapphire in Kasindra, SG Highway & Surroundings by Vijay and Company is a residential project. The size of the Villa is 1674.0 sq.ft. It is a ready to move project with possession offered in Dec, 2017. The construction is of 1 floors. An accommodation of 20 units has been provided. You can find Sukriti Sapphire price list on 99acres.com. Sukriti Sapphire brochure is also available for easy reference. SG Highway & Surroundings is witnessing growth in every aspect. Hence, the real estate market is also witnessing growth. The major drivers of the realty market of this city are booming industries that generate new jobs, infrastructural developments and presence of quality healthcare and educational institutes. Where is Sukriti Sapphire located? Kasindra, a prime residential locality for house seekers in SG Highway & Surroundings. 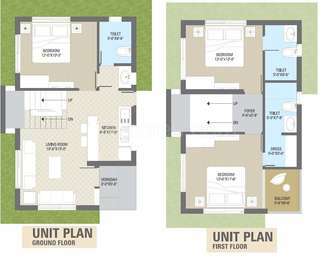 How many units are there in Sukriti Sapphire?The project offers a total of 20 units. Does Sukriti Sapphire have skating rink? There is no skating rink in the project. 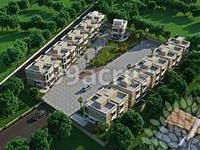 Is there a basket ball court in Sukriti Sapphire? The project doesn't have a basket ball court. Vijay and CO. LLP Development Group is a real estate development, construction, and acquisition firm based in Ahmedabad that?s driven by an unmatched commitment to quality and innovation from the last one decade with over 5 Lakh square feet of property in various stages of development and a portfolio Like Twins Bungalows, Raw Bungalows, Plotted Project and Weekends Homes. as changed in 2016 into Limited Liability partnership company. Through this partnership, Vijay and CO. LLP demonstrates firm commitment to raising the benchmark for the real estate sector across the Ahmedabad. Vijay and CO. LLP is an industry leader that?s reinventing the very process through which major architectural projects are designed and built. Vijay and CO. LLP is rare among real estate developers in that it performs all of the construction on its own projects. With no competing interests, Vijay and CO. LLP is free to work with visionary architects in collaborations that always put the firm?s desire to raise the bar for luxury developments first, no matter what. Vijay and CO LLP team is composed of professionals who specialize in residential, hospitality, and mixed-use projects and have impressive backgrounds in construction, design, and engineering as well as extensive experience in major projects in West Ahmedabad Gujarat. Each member of the Vijay and CO. LLP team takes pride in the exceptional standards of design and ingenuity evident in each of their projects, and in the timeless quality that shines through every detail. All these projects have helped us build a vigorous and honourable relationship with customers.